In 2014, hip-hop&apos;s legendary Wu-Tang Clan attempted an experiment in supply and demand. The group would cut a single copy of an album to be entitled Once Upon a Time in Shaolin, polish it up into a work of high art and sell it to the highest bidder. It was a clever stunt to try to get listeners to view music as valuable again, and it offered some good food for thought for a time. It finally sold Nov. 24; Bloomberg Business revealed Wednesday the "private American collector" who paid $2 million for the album is also known for engaging in his own questionable experiments in supply and demand — Martin Shkreli aka the "most hated man" on the Internet. The CEO of Turing Pharmaceuticals is infamous for hiking the price of the life-saving AIDS drug Daraprim 5,000% from $13.50 to $750 per pill. 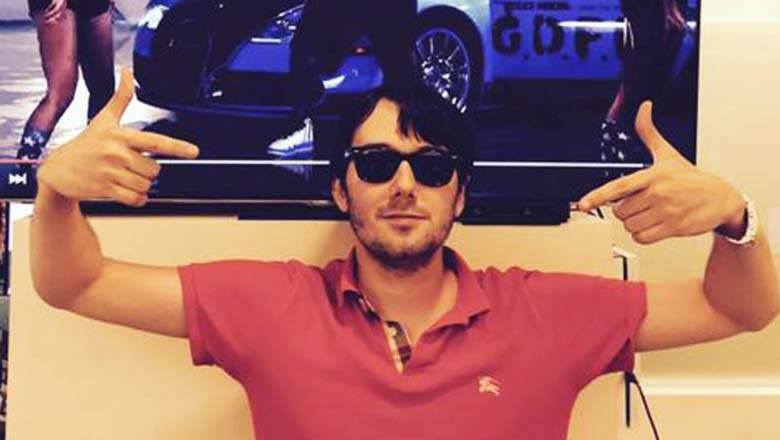 Now, for better or (probably) for worse, Shkreli is now a part of hip-hop history. Shkreli&apos;s passion for the Wu seems middling at best. Bloomberg Business appropriately points out his appreciation for the song "C.R.E.A.M." — an acronym that teases out to "Cash rules everything around me." Shkreli got the idea to buy the album after attending a private listening session for the album hosted by Alexander Gilkes, co-founder of Paddle8, the company that auctioned it. Gilkes told Shkreli that whoever bought the album would likely have a chance to party with other celebrities and rappers wanting a listen. Suddenly, Shkreli "became convinced that I should be the buyer," he told Bloomberg Business. He&apos;s been trolling fans about it on Twitter all morning. If there is a curious gap in your favorite artist&apos;s discography, well, now you know why. Letting the celebrity world know he&apos;s the man with the album is likely one of Shkreli&apos;s main reasons behind going public. As a rule, Paddle8 doesn&apos;t reveal any of its client information, and Wu-Tang has struggled with the decision to announce Shkreli as the buyer. Mic reached out to the group for comment and will update if we hear back. RZA, the group&apos;s de facto leader, emailed a statement to Bloomberg Business that read, "The sale of Once Upon a Time in Shaolin was agreed upon in May, well before Martin Skhreli&apos;s [sic] business practices came to light. We decided to give a significant portion of the proceeds to charity." Besides the aforementioned hiking up the price of the AIDS drug an astronomical 5,000%, those business practices include harassing the families of former employees and for allegedly using his previous company&apos;s Retrophin&apos;s funds for his own uses. Shkreli has apparently yet to even listen to the album. "I could be convinced to listen to it earlier if Taylor Swift wants to hear it or something like that," Shkreli told Bloomberg Business. "But for now, I think I&apos;m going to kind of save it for a rainy day." It seems this isn&apos;t the only album Shkreli&apos;s looking to do this with. On a live stream posted Wednesday morning on Twitter, he&apos;s been teasing playing the album, all while making lists of other artists he wants to make private albums for him. Topping the list? Jay-Z and Gucci Mane. May the rap gods forbid.